Cavalier King Charles of Coosa Creek ~ Located in South Florida's Palm Beach County just a mile off the turnpike, Coosa Creek Cavaliers romp and play in a healthy, calm environment with daily socialization in our Coosa Creek family. Our adult Cavaliers are health screened yearly with Board Certified Specialists and come from healthy European lines. Limited litters are available which conform to the AKC breed standard and include a heart clearance by our board certified specialist before leaving for their new homes and new adventures. Coosa Creek’s guarantee with every puppy is for 3 years against early onset Mitral Valve Disease (MVD). 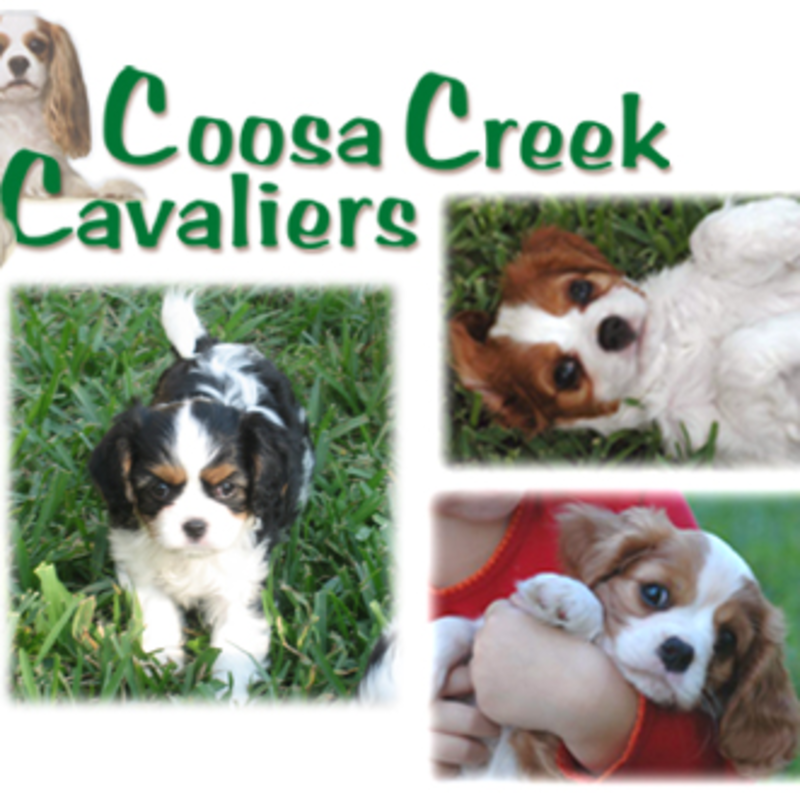 Several of the Coosa Creek Cavaliers are involved in the "Cavaliers for Therapy" program, so breeding emphasis is placed on calm, gentle-spirited, and comforting companion Cavaliers at the smaller end of the breed standard weight. We pride ourselves in providing healthy, happy, and well-socialized "Companion Cavaliers" to wonderful homes. Please give us a call, 561-767-0616, and come for a visit! Want to message Coosa Creek Cavaliers? Send him or her an email by filling out the form below! Coosa Creek Cavaliers will reach out to you when he or she recieves your message.